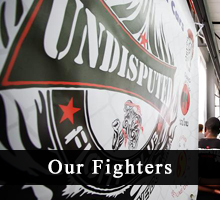 Undisputed Fight Club is a premier South African Martial Arts training provider, with 2 existing branches in Pretoria, dedicated to the martial arts disciplines of MMA (Mixed Martial Arts), Muay Thai, Jeet Kune Do kung fu as well as Tactical Self Defense. 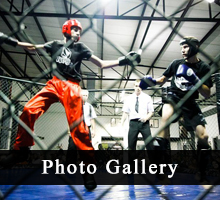 It has been active in the South African Martial Arts scene since its inception in 2003, and has been a formidable force for its participation in Muay Thai, K1 Kickboxing, and more so in MMA. Undisputed Fight Club is owned and operated by Kru Nick Savvides, Sifu Pano Damoulakis. Who pass down their skill and knowledge, developing the most superior calibre of Martial Artists that Undisputed is known for... Powerful, Skillful, Discaplined, Respectful and Explosive Fighters. Undisputed Fight Club has trained and developed many great athletes, amatuer and professional, such as Jeremy "The Pitbull" Smith, Wade G.O.A.T Henderson, Josh "The Jedi" Muller, Lucky Mashego, Van Wyk "The General" Povey, Marino "The Scorpion" Cutendana, Mark "The Hammer" Hulme to name afew. BUT most notably was in early 2011 when Demarte "The Wolf" Pena joined the EFC Pack, Demarte won all his fights at EFC and Became the First Black and Youngest EFC African Champion in the Featherweight Division. He remained Undefeated in the Featherweight Division, and relinquished his title in 2014 to move to the Bantamweight Division. Which he still remains Undefeated and currently holds the EFC Africa Bantamweight Title. Currently some Professional fighters training out of Undisputed Fight Club are Kanyeba Anicet and Tshilomba "Number One" Mulumba. 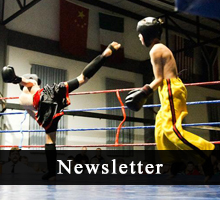 With many top amateur fighters making a name for themselves in the amateur ranks.